Here at Big Lick Vet, our staff and patients’ safety, health, and welfare are number one. We’re excited to inform our clients that we have upgraded our radiography equipment to the ImageVue® DR50 Digital Imaging System. The DR50 uses state-of-the art technology to deliver veterinary diagnostic images in real time at the point of care. The ImageVue DR50 system is the first radiography system in veterinary medicine to enable low-dose radiation image capture without sacrificing clear, high-quality diagnostic images. 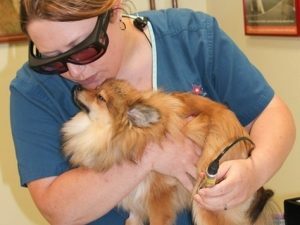 Reduction in radiation exposure is critically important to the health and well-being of pets and veterinary professionals, especially veterinary technicians of child-bearing age. Our practice is committed to providing the highest standard of care to all of our patients, and we also care about the health of our staff. We are thrilled to be using the ImageVue DR50 system, which allows us to minimize radiation exposure for our veterinary professionals and patients without compromising image quality. The ImageVue DR50 system provides the clearest digital images in veterinary radiography, enhancing a veterinarian’s ability to make a sound diagnosis. Innovative technology captures images with unprecedented efficiency, making it possible for us to x-ray patients with the lowest dose of radiation of any system on the market. The ImageVue DR50 system allows us to take the best care of our patients and staff. Not only does it provide clear images required to diagnose and treat our patients, but it minimizes our patients’ and our staff’s exposure to potentially harmful radiation. We’ve also taken the pledge to Lower the Dose of radiation in our practice and raise awareness of the importance of radiation safety in veterinary imaging. 4. Take x-rays of all protective apparel every 6 months in order to examine them for damage and/or cracks. 5. Put our patients’ safety, health and welfare first by lowering the dose of radiation used when capturing images at our facility. To learn more about Lower the Dose, visit their website here.